The current model, the X Type, offers a totally new X shaped profile, which significantly reduces bulk, virtually eliminates gagging, and improves molding by earlier engagement of the teeth during closure. The X Type also includes an improved one piece molding and sealing plug with a bite limiter which eliminates the possibility of over closure during the heat molding process. Over closure reduces air flow during diving. The plug is used in the molding process and also to keep debris out of the regulator when not diving. In addition to the previous sizes, the X Type is available in 2 additional sizes to fit Apeks, Poseidon, and many rebreathers. See the Regulator Size Chart to determine which size best fits your regulator or rebreather. 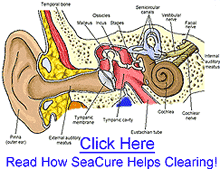 SeaCure mouthpieces are warranted to be free from defects in workmanship and materials when packaged and shipped. Liability under this warranty is limited to the cost of replacement of the SeaCure Custom Mouthpiece sold to the original purchaser. 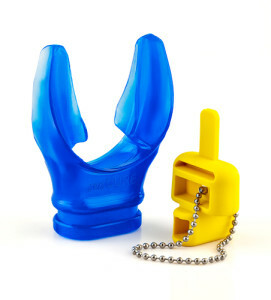 No other warranties related to the use of our product are expressed or implied by SeaCure Custom Mouthpiece.